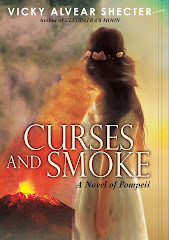 Ancient Egypt, Rome and Greece: A Bloody Good Chance to Win an ARC of my Novel! A Bloody Good Chance to Win an ARC of my Novel! 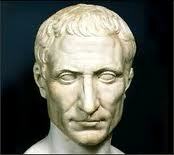 "The Ides of March? Yeah, not a good day for me." The Ides of March is all about murder, mayhem and misery--for Julius Caesar anyway. But today, the Ides could mean a bloody good deal for you. 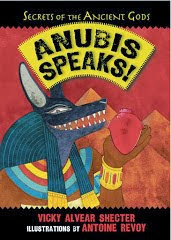 My publisher, Arthur A. Levine, is giving away three advanced reading copies (ARCs) of my novel, Cleopatra's Moon. Although you won't meet the great man himself in the novel (it takes place years after Caesar's murder), we do met Cleopatra Selene's half-brother, Caesarion, the only blood son of the great Caesar, as well as his adopted son, Octavian. What do you have to do to win an ARC? Follow @AALBooks and then re-tweet the post from yesterday, which said: “Beware the Ides of March! 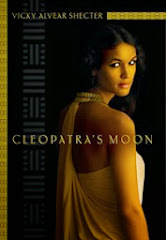 And RT for a chance to win an ARC of @valvearshecter’s CLEOPATRA’S MOON, 3/14-3/15! http://bit.ly/akmkg2” between now and 11:59 pm EDT on March 15, 2011. You've got until nearly midnight tonight! So get a-tweetin'! done and done. How cool would I be to get this before everyone else? Super cool - - that's how cool! I'll be blogging your new book on Book Log as soon as I'm sure readers can react right away and get their very own copy,too! 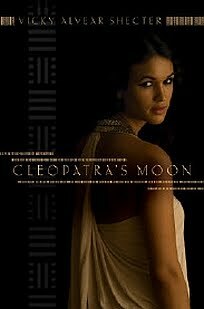 BTW, When Egypt erupted into our news recently, I was reading the NYTimes bestseller, CLEOPATRA by Stacy Schiff. 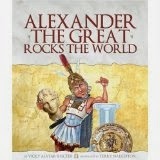 Am I glad I read CLEOPATRA RULES! first. Thanks, Vicky, for preparing me to follow the intriguing political machinations of these ancient people and contrast them with today's struggles. Seems vaguely familiar. Do people ever change? Even with Twitter? Hooray! Thanks for the heads up on this one! :) I tweeted and am now keeping my fingers crossed! Joan, I like to think of CLEOPATRA RULES! as the teen version of Stacey Schiff's book--it lays out the same message but in a more accessible (I hope) way! Dang, I missed it! Fingers crossed, I'll get another chance. The ARC of your book! Bloody exciting!